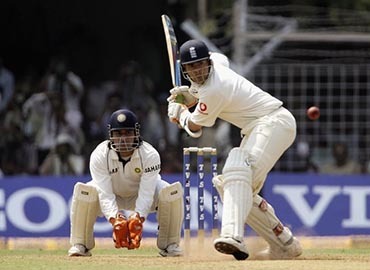 With the Test series against India fast approaching and questions still being asked about the make-up of our batting line-up and in particular who will bat at number 3, this month we speak to arguably one of the most stylish top order batsmen to have played the game in the early 2000s, a player who can most definitely count himself unlucky not to have played many more times for England, particularly in that problem number 3 position. And that player is former Middlesex star Owais Shah. “I was fortunate to have played with some fantastic players throughout my career. Ricky Ponting, Jacque Kallis, Mark Ramprakash, Marcus Trescothick, Michael Vaughan and Kevin Pietersen to name a few. 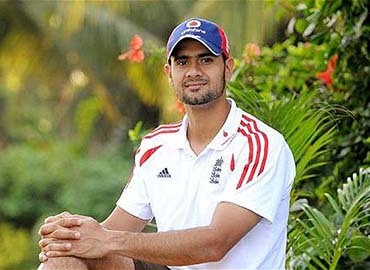 Of course, I wish I could have played more for England but it is what it is,” said a philosophical Owais. We’ll talk more about Owais’ international career later. But where did it all start for this batsman, who during his teenage years carried many great hopes on his shoulders? Did going into the side at such a young age accelerate his development? 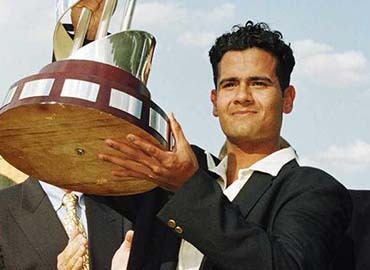 Owais’s career at Middlesex spanned 16 years – a period where he scored 13,377 first class runs for the county. 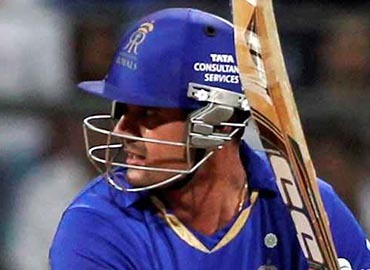 However, despite being one of the most consistent batsmen on the circuit he and his team mates only had the one trophy to show for their efforts: the 2008 T20 title – the final of which saw Owais score a match-winning 75 off of just 35 balls. Owais’s success at Middlesex brought inevitable international recognition. Firstly, in 1998, where impressive performances in his first couple of years of first class cricket, saw him named as captain for England’s under 19 World Cup campaign in South Africa – a campaign they went on to win. 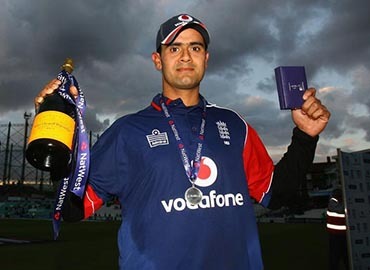 Owais’s success in that under 19 World Cup campaign soon saw him elevated to full England honours, when he was selected to make his debut against Australia in a one-day international in 2001. Many hoped it would be the start of a long and successful international career, but for many reasons, a number of which seemed to be out of his control, he just wasn’t able to nail down a consistent run of games in the side. Owais finished his one-day international career with a batting average of 30.56. You feel it could have been much more if he wasn’t under the constant pressure of having to prove himself. But what were some of his big highlights? It was a familiar story in Test cricket, where despite a debut knock of 88 in Mumbai, Owais only went on to play 5 further Test matches for his country. The call eventually came in a Test series against the West Indies, but after scores of 6 and 4 in the match, he was immediately dropped again. 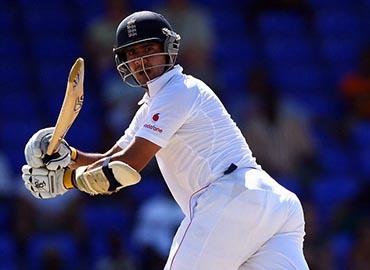 Owais was given another chance in the 2009 series away in the West Indies, when he was brought in to replace an out of form Ian Bell and despite an excellent half century Owais never played Test cricket again. For someone of Owais’ undoubted talent, 6 Test matches seems an unfair return when you think back to many players who were given perhaps many more opportunities. 12 months after his last Test match for England, Owais parted company with Middlesex, in what was a bittersweet moment for the Middlesex stalwart. I had many questions for Owais on T20 cricket, but I did have to begin by asking him that when T20 cricket was born in England back in 2002, did he ever believe the format would grow to the levels it is today? 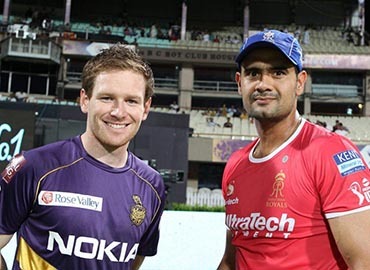 Owais was one of the first English players to play in the IPL and having represented a number of the big franchises I was keen to hear what was it like playing in what is the biggest tournament in world cricket? Having played in all of the major leagues around the world I asked Owais how our domestic tournament ranked? Owais finished his career with over 16,300 first class runs, at an average just shy of 42, and with a further 10,500 List A runs and 5,500 T20 runs its fair to say despite some poor decisions by various England selectors it was a career fulfilled. 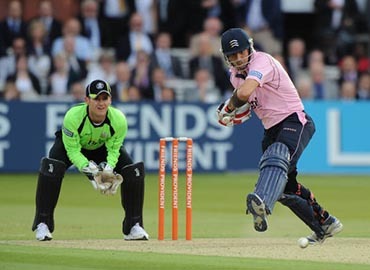 And as a Middlesex fan writing this I can definitely attest to many happy memories watching this lad in the middle! Owais – thank you!